This post is written based on my own honest opinion and personal experience of the procedure. I am not a qualified doctor, this is what I went through. Truth to be told. 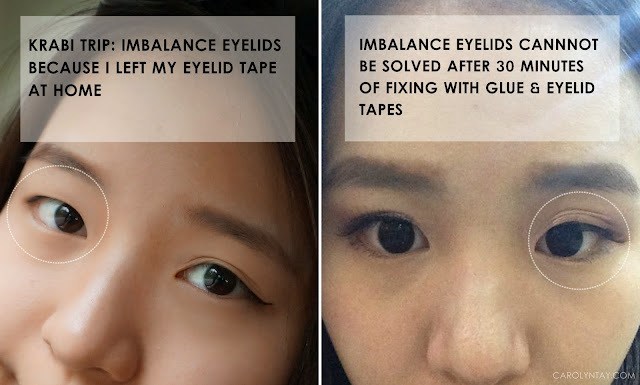 I've always had imbalance eyelids since I was young, It was so frustrating! It was the worst when I was 11-15 years old because I had Big Small eyes. Everyone laughed at me and I was so ugly!! Then puberty came along and my right eye became double eyelid and my left eye remained single eyelid, but suddenly they both decided to change sides in my late teens. I've always wanted to fix this problem as my dad also faced this problem when he was young, he eventually went and did his eyes. Can you believe my dad did an eyelid procedure like 30 years ago?! 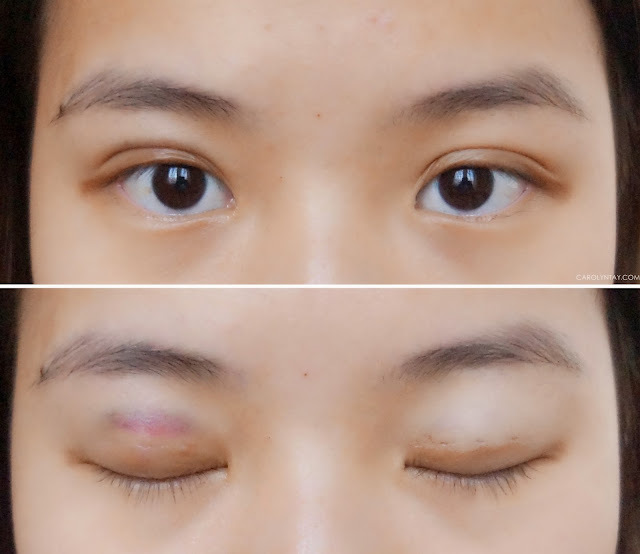 Why I've decided to fix my eyelid? Why don't just depend on double eyelid stickers? 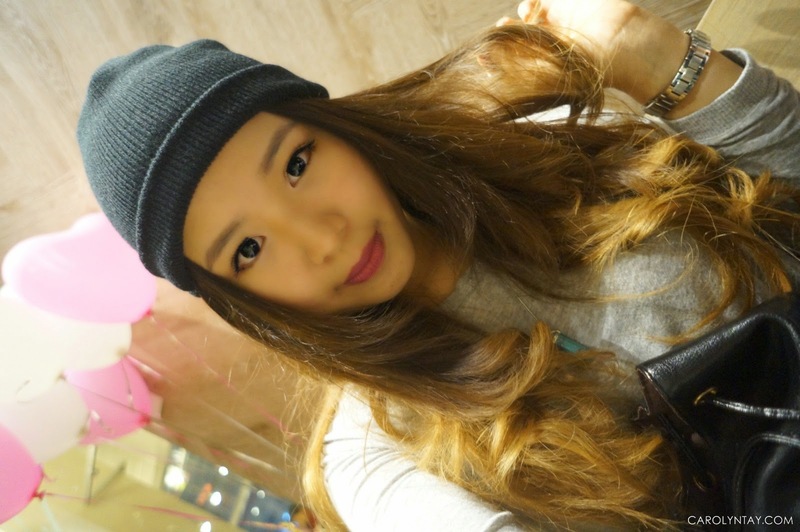 If you have seen my recent pictures, I have a very vague double eyelid because I depend on the double eyelid stickers. I've tried so many brands to find a suitable one! These stickers do an amazing job but sometimes it cannot help at all. Sometimes I spend more than 30 minutes trying to fix my imbalanced eyelids and I feel like crying. On good days, I have double eyelids but it is still imbalanced. 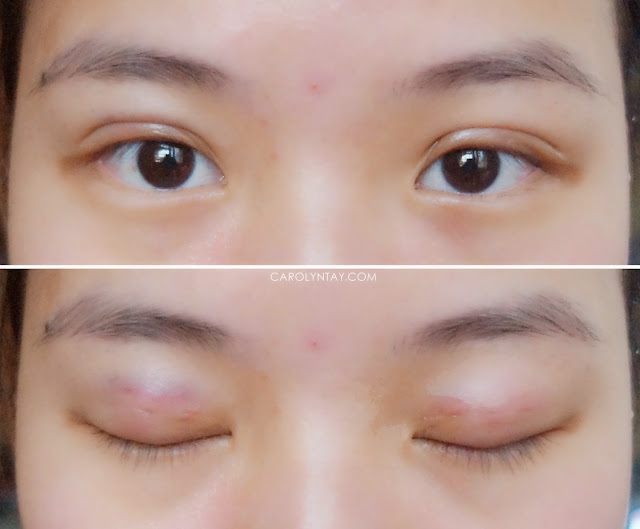 Where I did my double eyelid procedure and Why? I did mine at Me Aesthetic Clinic in Times Square, but everyone calls it ME Clinic. I've done so many research for aesthetic centres in Kuala Lumpur and Me Clinic has had so many good reviews and feedbacks. On top of that, I'm very satisfied with the result I saw on Chency (she did hers over there too!) so I've decided to give Me Clinic a try. I've booked my appointment and met Dr. David for a short consultation. I find it very important to have a good understanding with my doctor and he must be patient & informative. Dr. David was what I was looking for and he gave me the assurance I needed to trust in him. Don't worry, Dr. David is a very friendly doctor, you will feel more relax talking to him. Double Suture and Twist Technique is a procedure? Non-Cutting? This non-incision procedure is “simple, durable, and virtually scar free.” The method uses only two sutures on each upper eyelid, with the durability explained by the areas of ties and the central twists that result in more secure and longer-lasting results. This procedure does not require the patient to go under the knife, thus it is not a surgery. The DST method was discovered by Dr Katsuhiro Kure and Dr Akihiro Minami because the traditional suture/ stitching method couldn't last that long. 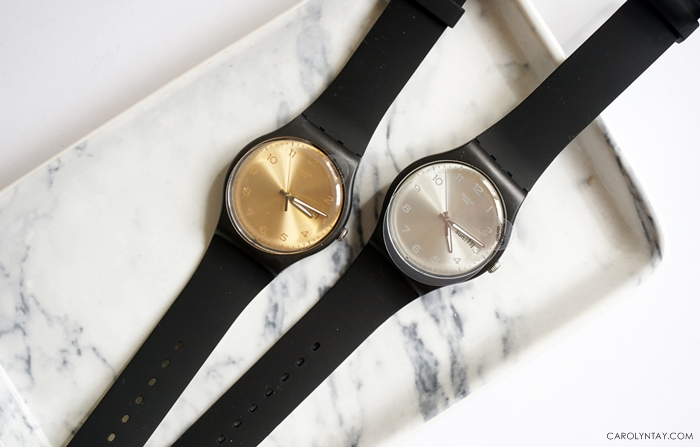 The DST method is more durable and studies have proven that DST can last up to 5 years or even 10 years, while traditional one can merely last 1-2 years. 2. Does not require going under the knife & removal of skin, it is more safe! More information: Further explanation by Dr. David. Who can opt for this Double Suture and Twist Technique procedure? This method is suitable for younger candidates with eyelids which do not have lots of loose skin or fat, or any obvious eyelid deformities. 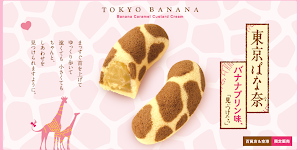 This is also suitable for people who are indecisive, in case you change your mind in the future, you can adjust it. If you opt for a surgery, there is no U-turn. How long can it lasts? The non-incision eyelid procedure can last a long time, up to 10 years or more but it may vary between individuals. We will age and have loose skin, fat, etc that will contribute to the loss or hooding of the new eyelid creases. Do I need to restrict myself from certain activities and if so, for how long? Not really. However, during the first month there are certain activities you should try to avoid such as going to the spa, sauna and stuff like that which would irritate the eyelid area. I cannot answer this for you. It's best to go for a consultation and let the professionals quote the price for you. Choosing a crease is the key point of this procedure! You can choose between a low/medium/high crease for a different look/effect. Besides choosing the height of your new creases, you can also choose whether you want a tapered or a parallel crease. This also depends on your eyelids condition, Dr. David did measure the best eyelids that suits my eyes. 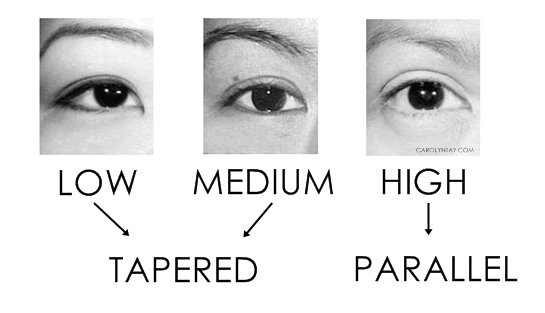 In my case, my left eye is originally parallel but my right eye is tapered. The only way to make my right eye have parallel crease is to go for a Epicanthoplasty surgery which is to cut the inner corners of my eyes. So I opt for tapered to balance my eyelids. * Surprisingly after procedure, both my eyes are parallel. Did Dr. David did magic on my eyes? I did expressed to him that I wanted parallel very badly. I went in just on time and was called into the consultation room again for another brief consultation. Dr. David will explain everything again and make sure he clears any of your doubts before he starts the procedure. Tip: Don't simply start a procedure/surgery without full understanding! I was lead into another room to prepare for the procedure. The nurse gave me a pillow(to hold) and a blanket and made sure I was feeling comfortable. They cleansed my face, gave me a mini face massage and prepared my face for the procedure. After that, Dr. David took over to do the markings on my eyelids, sterilized my whole face and start the procedure. Is it painful to you? To be honest, I can tolerate pain pretty well if I have to but I am extremely sensitive on my eyes. The only part I felt really pain is the injections on my eyes, which only lasted less than 2 minutes. I tensed up and teared a lot, the nurse quickly came and comforted me. After the injections, everything feels numb. I would be lying if I say it wouldn't hurt at all, it did hurt but the pain was short and bearable. I had great support from Me Clinic which made everything easier for me, and this is why you should research and pick the right team for yourself! Yes, I honestly think it feels weird because I don't really feel anything after the injections but I can feel the doctor moving around above me. Occasionally I feel something pulling my eyelids but it wasn't painful at all. I was super anxious before the procedure but the nurse was really friendly and cheerful. Dr. David and the nurse also joke and chat with me during the whole process, I definitely felt more at ease and it distracted me from thinking too much about the procedure. I really want to thank the Me Clinic team for all the support they have given to me. I didn't feel alone because they gave me a lot of encouragements to go through the procedure. Dr. David said I was brave and obedient which made me very happy ♥ I remember when I was done with one eye and I can finally open them, everyone gathered and told me it was pretty! That also gave me the extra courage to go through with the next eye. You will be given some Painkillers, Medicated Lotion & Antibiotics. You are required to apply the Lotion and finish the Antibiotics given. As for the painkillers, you do not need to take them if you do not feel any pain. I did not take any painkillers during my recovery stage. Should I stay away from certain food? There are no requirements to stay away from any food at all but as usual, the elders(in this case, my mother) adviced me to stay away from seafood and black sauce. Is it an asian thing? Right after the procedure: I can't believe my own eyes when I look in the mirror. It can be seen that I have some minor bruising on both my eyelids. Yes, it is normal to have a little bruise. However, not everyone will bruise badly like me, it depends on each individual's sensitivity. I woke up with much puffier eyes compared to yesterday, this is also normal. It didn't hurt and it is less red already! I am definitely getting used to my new eyelids because it is starting to feel much more comfortable. As a matter of fact, the stitches doesn't hurt at all, it was the bruising that was causing a slight pain when I applied pressure on it. It's getting less and less puffier and the bruise is getting lighter as well. I know my left eye is still a bit swollen! There is still some slight pain whenever I apply pressure to my eyes. I finally dare to wear contacts, I am so satisfied with the results. I gotten so much compliments from my friends and family ♥ They were so shocked that mine recovers so quickly, they told me their friends did double eyelid procedures in the past and it was so unnatural and swollen even after a month. My bruise is slowly fading away, it's greenish yellow, less purple already! I went out with my friends and so I applied a little more heavy make up. I take so little time to make up now, I don't need to spend 30 minutes to fix my eyelids and I don't need to draw thick eyeliner! I regret why I delayed this procedure for so long, should have done it much earlier! If you read till the end of the post, thank you for being so patient! 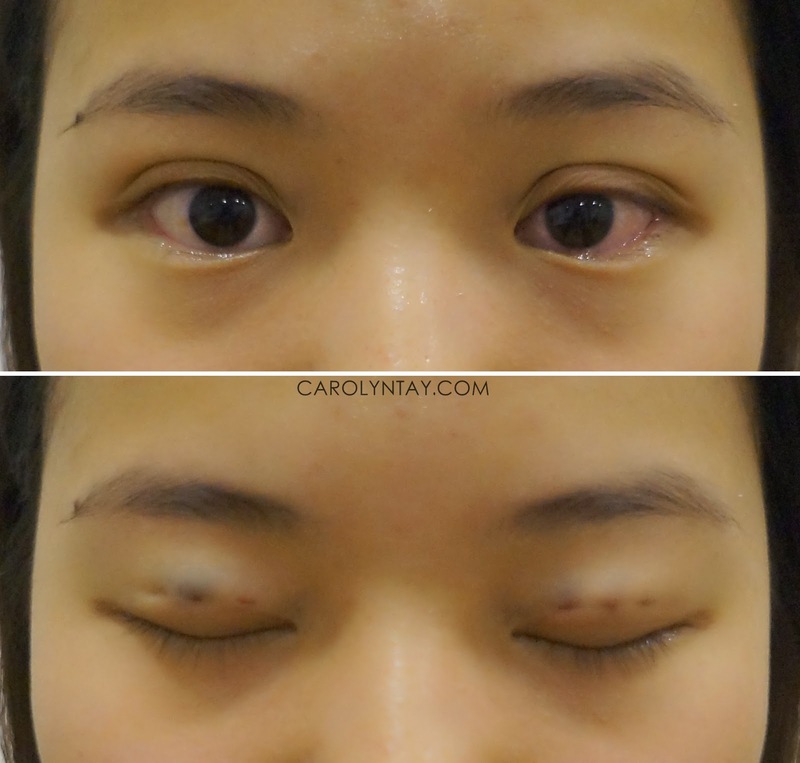 I hope this post will answer all your questions regarding a double eyelid procedure. If you have anymore questions, you should leave your hesitation and decision making for the consultation.